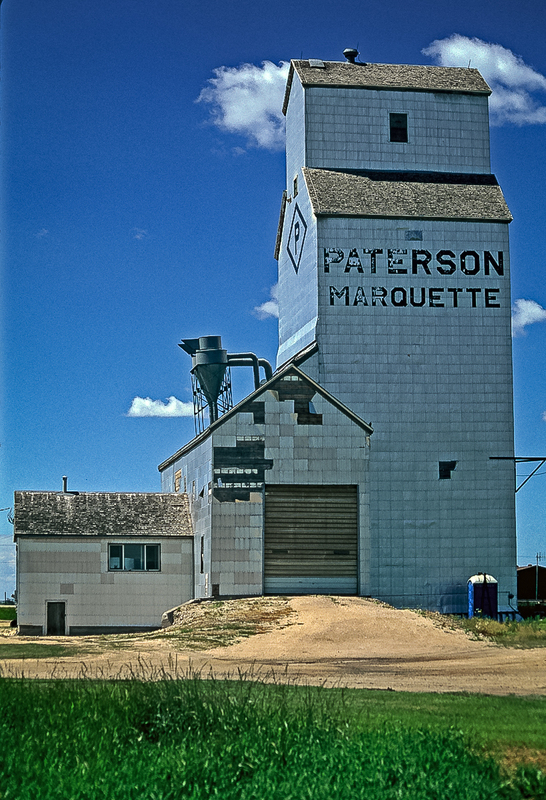 The Marquette, MB grain elevator, July 2001. Copyright by Gary Rich. 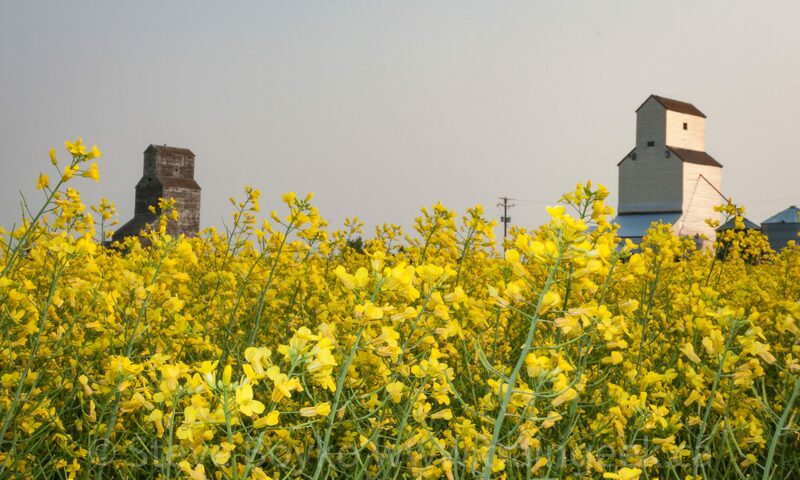 The Marquette grain elevator was a wooden grain elevator on the Canadian Pacific Railway main line (CP Carberry subdivision). The elevator was owned by N.M. Paterson and was demolished in September 2013. The Marquette, MB grain elevator, Oct 2012. Contributed by Steve Boyko. 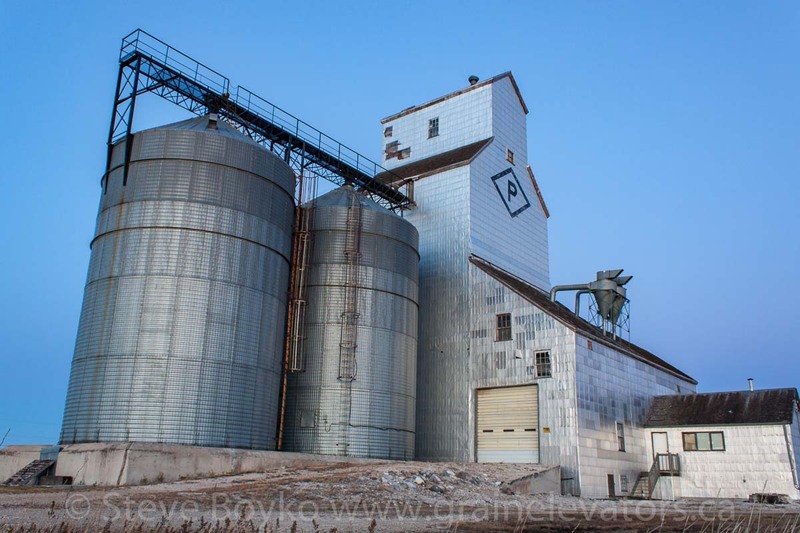 The elevator consisted of a central wooden elevator (with driveway) and two large steel bins. 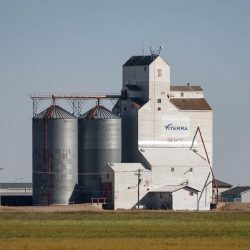 It only had a capacity of 1,970 tonnes, quite small for modern elevators. It was built in 1920. There was a second elevator, built in 1941 and sold in 1974. 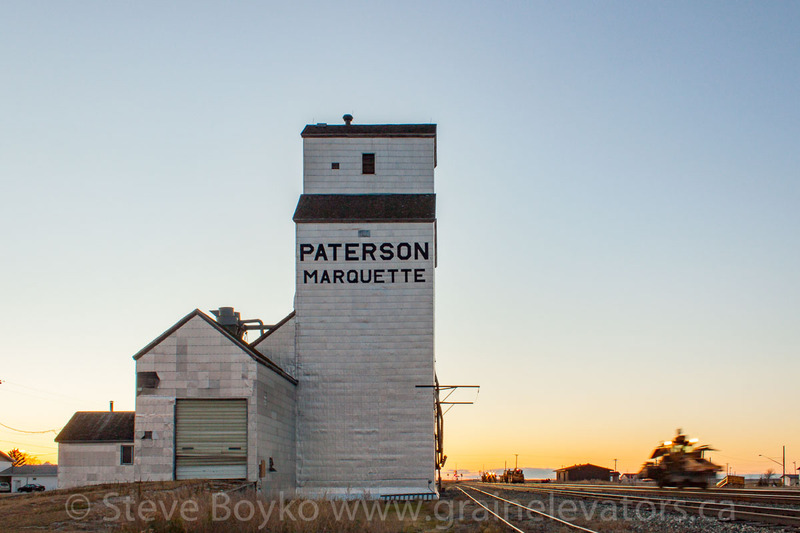 The Paterson grain elevator in Marquette, MB, Oct 2012. Contributed by Steve Boyko. Its small size no doubt contributed to the decision to demolish the elevator. 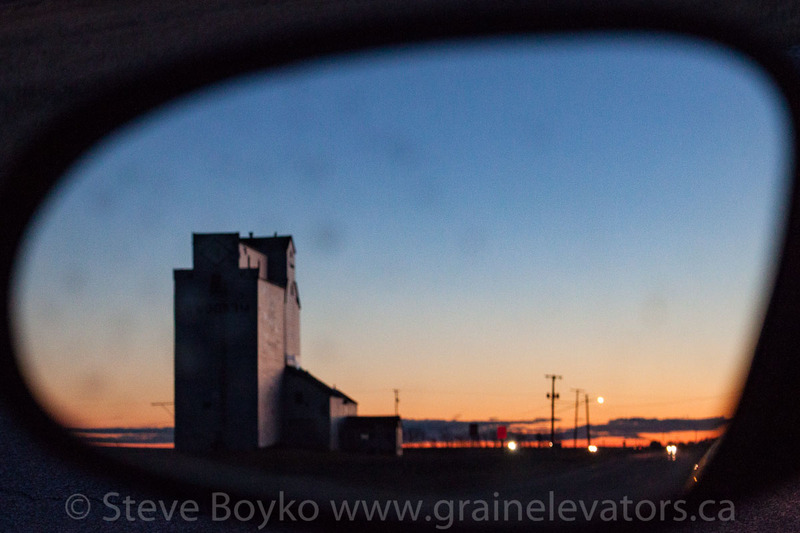 Marquette, MB in the rear view mirror. Contributed by Steve Boyko.